NOTE: To receive the discounted price, you must use the 'Add Bundle to Cart' button above and then complete the checkout process with all bundle components in your cart. WORTH $1,159 – PAY ONLY $1,019! Our popular Starter Bundle is now available in our Flow Hive 7 Frame sizing (equivalent to the traditional 10 Langstroth frames sizing). The complete Flow Hive Classic 7 Frame features our patented Flow Frame technology and with a saving of $140, the Starter Bundle is a beekeeper's dream. Having an additional Flow Frame in your super also has the added bonus of collecting even more delicious Flow Honey! This bundle includes an organic beekeepers suit kit, stainless steel smoker and an additional veil, to ensure that you can get set-up with confidence as you embark on the experience of beekeeping with Flow. Can’t decide which sized Flow Hive size to get? Check out our handy decision chart. This gorgeous Flow Hive is constructed from premium Australian Araucaria, highly regarded for its stability & durability. A favourite with Flow beekeepers since their release, these packages include an integrated pest management screened bottom board, observation windows, and our distinctive gabled roof, plus 6 revolutionary Flow Frames for easy harvesting. Apply two coats of weatherproof paint and they will be a stylish addition to your apiary or garden for years to come! - Does not include bees. - The roof is painted for illustrative purposes only, hive arrives unpainted and untreated. 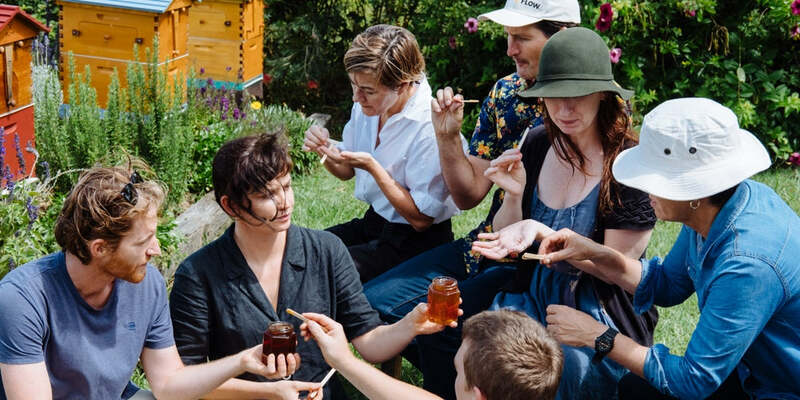 Flow Hive technology drastically reduces the chance of being stung during harvest, however, even the friendliest hive can get cranky sometimes. Luckily it’s easy to feel secure with our certified organic unbleached cotton suits – perfect for beekeepers who want to know they are well protected whilst performing routine inspections and hive maintenance. It also includes vented goatskin beekeeping gloves and a J-style hive tool handmade with German stainless-steel. Click here and then click on the 'Sizing' tab to find out which size beesuit is best for you. A quality smoker is an excellent addition to every beekeeper’s kit. Featuring the Flow logo on its bellows, with this quality stainless steel smoker you’ll be able to calm your colony in style. Perfect for small apiaries, it features a hook at the back, a ventilated insert for better airflow, and a wire guard to protect you against burns. The Flow Veil is a comfortable, lightweight hat with an attached veil. Handy as a precaution for protecting your head and face when doing minor chores around your hives, or for giving to a friend to wear on an apiary tour. These veils offer convenient face protection, however, are not suitable for use when getting up close and personal with an open hive or a cranky colony. One size fits most.